I’ve enjoyed every minute as a barrister and a judge. Two careers. I’ve been privileged. I didn’t want to be a lawyer. Even when I went to Oxford I didn’t know. I thrashed around, then stumbled into the Bar. I wanted to do something in the real world. My father was always starry-eyed about the Bar. I suspect that came into it too. Leading set Thirty Nine Essex Street has yesterday (26 November) announced a major appointment, with Peter Hurst, former Senior Costs Judge of England and Wales at the Royal Courts of Justice, joining as an arbitrator and mediator. Appointed as Senior Costs Judge in 1992, Hurst held the role until his retirement in September. Since stepping down, he has been instructed in a number of roles as mediator and arbitrator and will now focus on both with respect to costs matters in the UK and internationally at Thirty Nine Essex Street. He will practice from the set with immediate effect. Hurst is lauded for playing an integral role in Lord Jackson’s highly-publicised costs review where, in his role as an assessor, he travelled to several overseas jurisdictions and was involved in the implementation process with Lord Justice Jackson and Justice Ramsay. He also worked closely with Lord Woolf on the Access to Justice Reforms. His judicial career spans over thirty years, and previous roles also include the post of Judicial Taxing Officer of the House of Lords from 2002 until 2009. Further expansion by the set this year includes securing a trophy tenant with the arrival of former legal director of Royal Dutch Shell and heavyweight arbitration specialist Peter Rees QC; as well as the opening of its Kuala Lumpur office in October, becoming the first set to do so in Malaysia. After three decades in private practice longstanding Ince & Co litigation partner Denys Hickey has re-joined the Bar with a move to Thirty Nine Essex Street Chambers, just weeks after the leading set hired Shell’s former head of legal, Peter Rees QC. 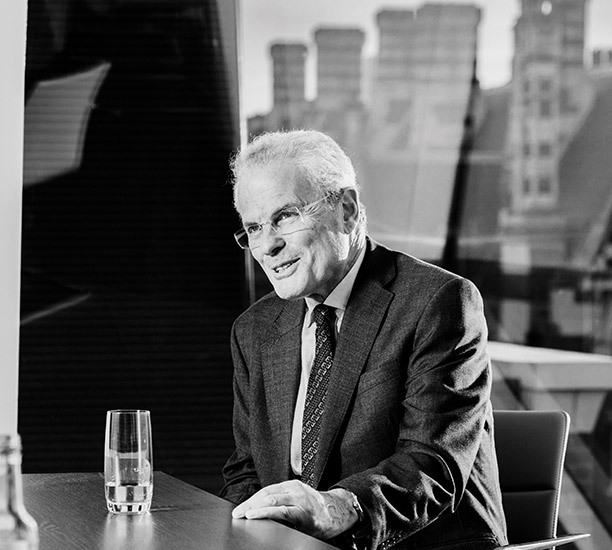 Hickey, a specialist in oil and gas and commodity trading work, started his career as a barrister and was called to the Bar in 1975, requalifying as a solicitor and joining Ince & Co in the late 70s. He completed a three-year stint in the firm’s Singapore office to head its energy & offshore group for the Asia Pacific region in 2010 before returning to London in 2013. At 39 Essex Street Hickey’s role will involve practising as counsel, arbitrator and mediator. He will also operate between the set’s offices in London, Singapore, and Kuala Lumpur, when it officially launches there later this year. The move will constitute the first UK barristers chambers to establish a presence in Malaysia, where it will focus on domestic and international arbitration. Hickey’s arrival follows the set’s hire in March of former legal director of Royal Dutch Shell Peter Rees QC.